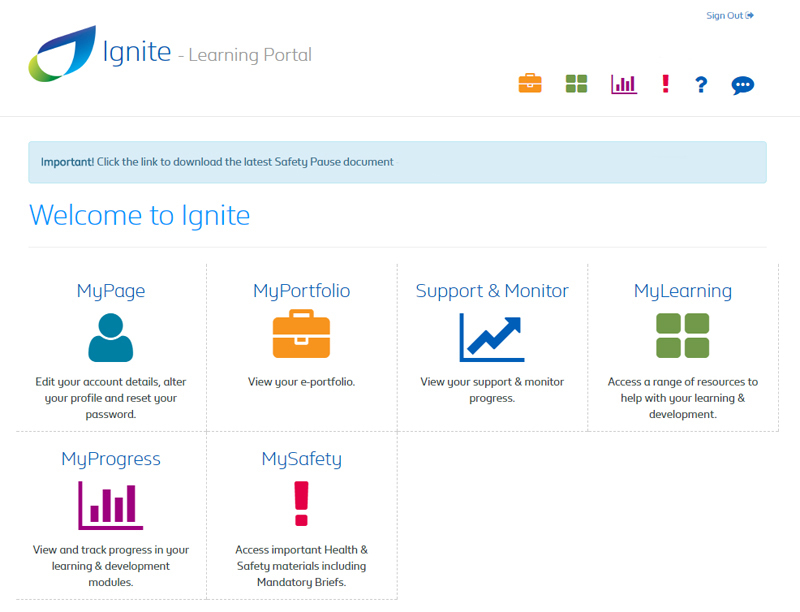 British Gas asked us to produce a learning portal to be used by Engineers, Trainee Engineers, Customer Service Staff and Managers. We created a system that provides users with access to a wide range of resources to help with their learning & development such as videos, documents, PowerPoint presentations, mandatory briefs and health & safety materials. The system has been expanded upon since it was first created. It now includes functionality for Smart Meter Engineers and Customer Service staff to complete online ePortfolios. Users can upload workplace based evidence, add action plans and provide evidence of development, to build an ePortfolio mapped to their relevant learning programme. The ePortfolios can be viewed by Line Managers, Group Managers, Area Managers and Mentors who can view users’ progress within the learning programme and provide feedback. Administrators can add/edit user details, bulk upload users, upload learning material, generate login and user progress reports. The system has helped British Gas reduce the dependency on paper based material and provides a simple and convenient way of accessing resources, recording progress and storing evidence.